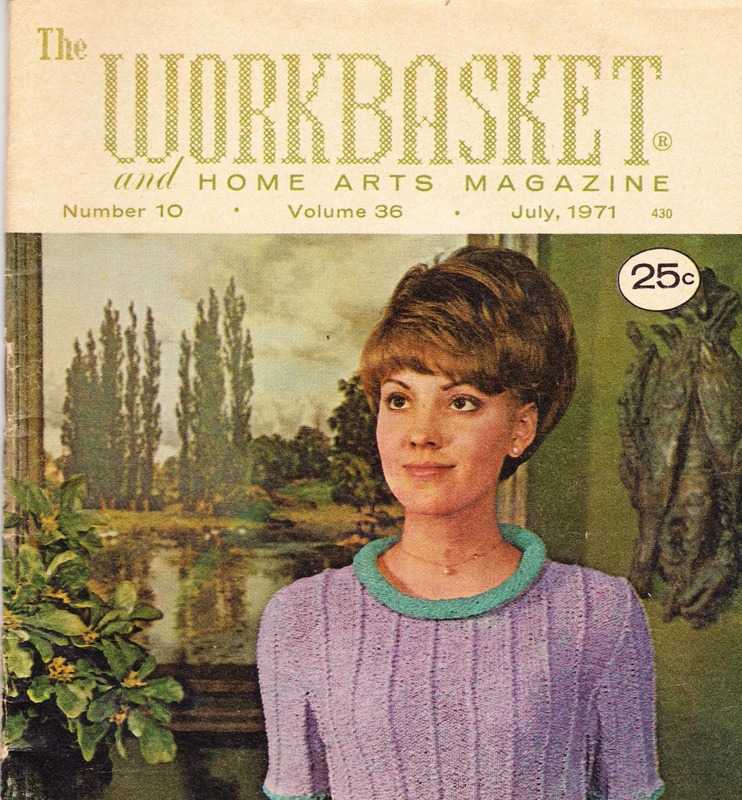 Papergreat: What's worse than using gelatin in your dinner mold recipe? 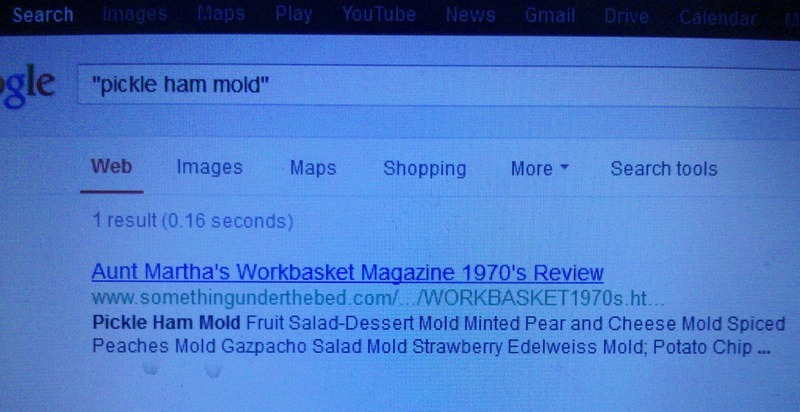 What's worse than using gelatin in your dinner mold recipe? Then there's a recipe that includes no gelatin at all. But how would you make the mold? This is only the second time that this particular recipe has been mentioned on the Internet.3 There's probably a reason for that. 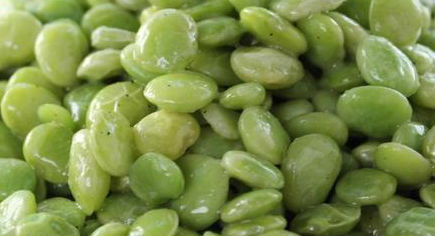 In place of gelatin, the ingredient that holds the ham, gherkins, pineapple and celery together is Blended Lima Beans! Yum! Yum! Yum! Make sure you chill it well before serving it to friends and family members who will certainly plan to never come to your house again. Here's the recipe in its entirety, from The Workbasket. 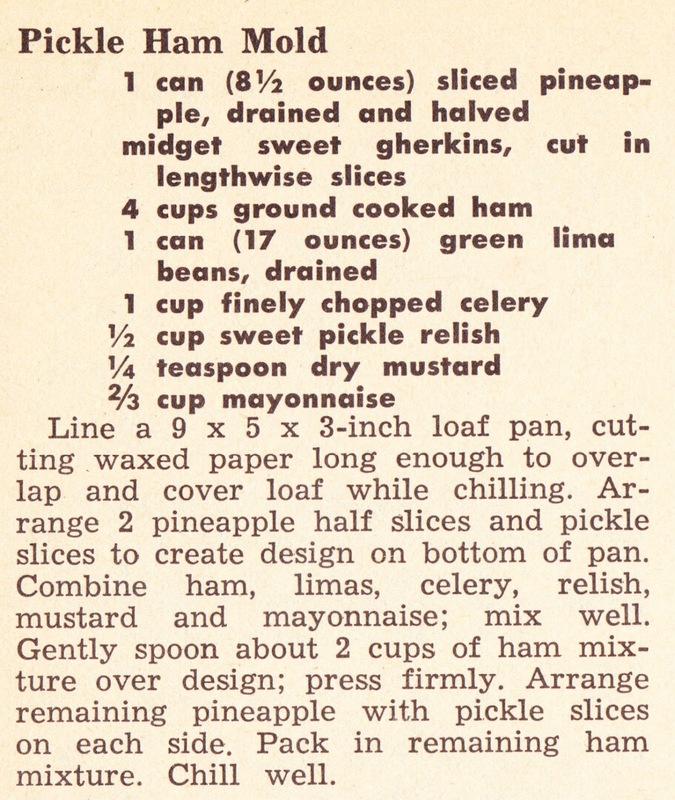 I would love it if Ruth Clark, chef and author of a brilliant blog called The Mid-Century Chef, would recreate Pickle Ham Mold in her kitchen and feed it to her good-sport husband, Tom.4 It would be the perfect way to tie off this dark corner of American culinary history. Finally, according to Wikipedia: "Among the Newars of Kathmandu Valley, Nepal, buffalo meat jelly is a major component of the winter festivity gourmet. It is eaten in combination with fish aspic, which is made from dried fish and buffalo meat stock, soured, and contains a heavy mix of spices and condiments." 3. In researching this post, I did a Google search for "pickle ham mold" and came up with just one result, making it a bit of a Googlewhack (though not using the exact definition of Googlewhack). Here's proof of that search, as the existence of this published blog entry means there will no longer be just one result. 4. A great directory of the worst recipes that Ruth and poor Tom have tackled can be found here on The Mid-Century Menu. One of my "favorites" is Cottage Cheese-Pickle-Peanut Sandwich. This is the 800th Papergreat post. In the past, I have celebrated some milestone posts with chickens. But I think I'm just going to wait and throw the next big milestone party when I hit 1,000 posts in about six months. Mark your calendars for mid to late September. I want to go on record saying, "YUCK."